Meander just four kilometres off the main road to the Wooli, Minnie Water and Diggers Camp beaches, and you’ll find yourself surrounded by the Aussie bushland on the Eastern side of this wonderful property. Native flora and fauna are abundant amongst tall stands of hardwood timber. 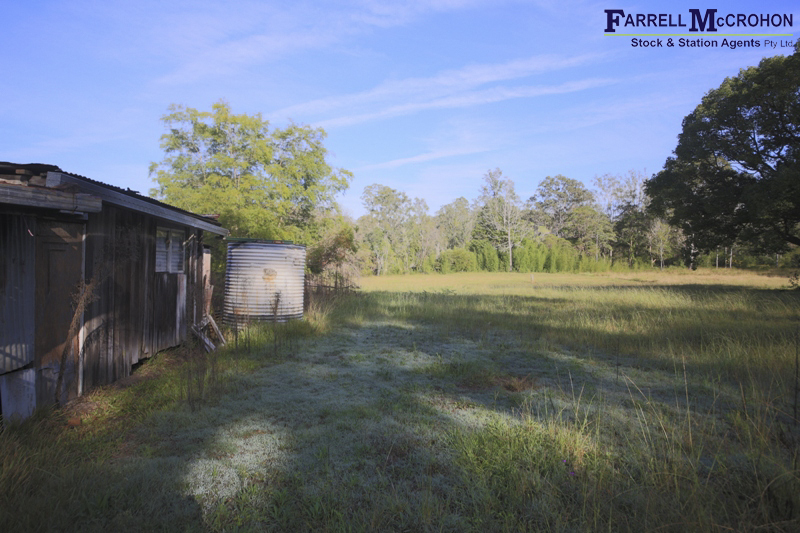 Guaranteed permanent water with frontage to the Coldstream River along with several natural water holes. A twenty-five minute drive from the main township of Grafton, and twenty minutes to the aforementioned beach-side villages, you’ll be in an entire world of your own here. What is pleasantly surprising about this 288 acre (approx) property is the diversity of the land; gently undulating and timbered country which leads down to cleared, pastured areas on the river flats. An idyllic old hut sits in one of these clearings, along with a set of stockyards overlooking the land and waterholes below. An ideal site for your dream home. While only some of the boundary is currently fenced, one of the neighbours is contractually obliged to complete the remainder of the fencing; and you have grass rights to the use of their property in the meantime (speak to the agent for more details on this). The Coldstream River runs along one boundary and is good for fishing, plus there are roads and tracks through the property to allow ease of access. An idyllic rural property in the highly sought-after coastal hinterland of Pillar Valley. Your inspection is a must. *This property comprises the following lots: Lot 80 in DP751358, Lot 3 in DP565404, and Lot 52 in DP751358.